Legend has it that St. Patrick drove all of the snakes out of Ireland in the 5th century. Similarly, police officers will be driving anyone operating a vehicle under the influence directly to jail on March 17.This year, St. Patrick’s Day coincides with the commencement of the NCAA Basketball Tournament, which could result in even more drunk drivers being on the road. For those of you who will be celebrating on Thursday, please remember to do so safely and responsibly. The number of drunk drivers on the roadways increases significantly on St. Patrick’s Day – nearly 300 people lost their lives in drunk driving accidents on the holiday between 2009 and 2013. In addition to refraining from drunk driving, please remain conscious of other motorists operating their vehicles under the influence. Here are a few tips to keep you and your family safe this St. Patrick’s Day. Plan Ahead: Lack of planning is one of the most common reasons that drunk motorists end up on the road. Make sure that you have a plan to get from place to place this St. Patrick’s Day. Take a bus, cab, or Uber to and from the bar or the party, or enlist a caring friend to serve as your designated driver. If your car is present at whatever establishment you find yourself, surrender your keys to a trusted friend. If you don’t, you might be more inclined to drive once your inhibitions have been lowered. Buzzed Driving IS Drunk Driving: The majority of people who drive drunk actually don’t exceed the legal limit by a huge margin. Instead, these drivers usually combine a light lunch with three heavy beers and suddenly, they’re buzzed. Unfortunately, in their mind, they fail to recognize that buzzed IS drunk in the eyes of the law. It doesn’t matter if you’re only slightly above the limit; if you’re buzzed, you’re drunk, which means that you could either end up in jail, hurt yourself or others, or both. Not only that, but if convicted of drunk driving, you’re likely facing upwards of $10,000 in legal fees, court costs, and increased insurance premiums. Stay Home: Easy enough, right? 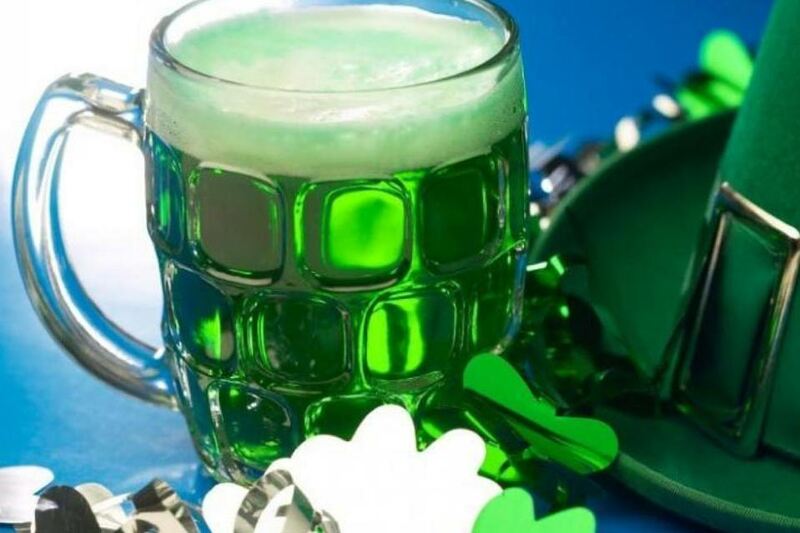 Mothers are fond of saying that nothing good ever happens after midnight, but that could also apply to any time of day on St. Patty’s. The best way to stay safe and stay out of trouble on Thursday is to cozy up on the couch. If you are of age and want to have a beer while you watch a basketball game, more power to you. But it’s best to avoid the roads altogether on St. Patrick’s Day if possible. Don’t Drive after Dark: Lethal drunk driving accidents are three times more likely to occur at night, so unless you really need to be somewhere, it’s best to stay off the road once the sun sets. Not only are other motorists more likely to be intoxicated the later it gets in the day, but the lack of visibility at night makes drunk drivers even more dangerous to themselves and to others. Remain Cautious: If you must drive on St. Patrick’s Day, there are a few precautionary tactics that could save your life. For instance, drunk drivers are prone to drifting over their lane lines, so stay as close to the right side of your lane as you can to avoid a head-on collision or being sideswiped. It’s also smart to keep extra distance between your vehicle and others in case you are forced to stop abruptly. Lastly, concentrate on surrounding traffic, but never assume that you know what other drivers plan to do. For instance, if a driver has signaled to turn, don’t assume that you know exactly where they’re going to turn or that they will turn at all. When sharing the road with drunk drivers, you should anticipate but never assume. Be a Good Friend: If you see someone you know and care about attempting to drive a vehicle under the influence, safely do whatever you can to prevent them from doing so. They might be emotional or angry in the moment, but they will definitely thank you later. If they don’t, you’ve still done your part to save lives, and who needs friends like that anyway? Similarly, if you or a friend or family member are considering getting in a vehicle being driven by someone who has been drinking, please reconsider immediately. You might think that by riding with this individual you won’t get in trouble, but what people often fail to realize about drunk driving is that getting into trouble is by far the lesser of two evils. People are killed every single day in this country by drunk drivers, and many of those deaths could be avoided by simply refusing the ride. If you or a loved one has been injured by a drunk driver, please contact the Pinder Plotkin Legal Team today. Our attorneys have a wealth of experience holding irresponsible motorists accountable for their negligence, and we will work diligently to reach the best possible outcome in your case. Please call us today at (410) 661-9440 or fill out a convenient online form to receive a free consultation.